The interview tends to be central in deciding on the right candidate. It is an important opportunity to demonstrate your skill set, experience and ability to fit within the company culture. This is very much a two-way process. The interview also offers you the chance to establish whether the job and company itself are really right for you. Your CV has presented you as a potentially suitable candidate. The interview provides a platform for you to discuss your skills and experience in further detail. First impressions count. In most cases, your interview will last less than an hour. This is a relatively short window in which to make a lasting impression. What you wear and the way you present yourself when greeted by the interviewer should convey that you are responsible, well organised and professional. This will set the tone for the rest of the interview. If you have been kept waiting, it is vital to show patience and tolerance. You can create rapport with the interviewer by demonstrating an understanding attitude. Candidates who express irritation regarding delays will not endear themselves to the interviewer and may severely reduce their chances of success. 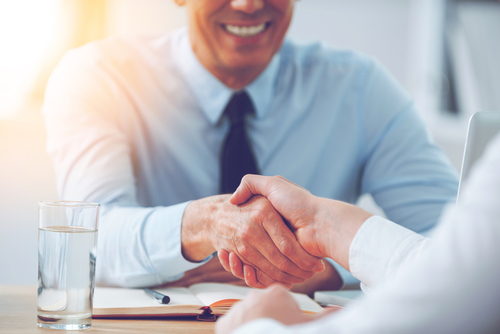 Create a great rapport – greet your interviewer by name with a smile and firm handshake. Be aware of your posture and look attentive. Speak clearly at all times. Maintain a calm tone and sufficient volume. Be concise, do not waffle or digress. Do not avoid answering difficult questions – these are designed to test you! Make sure you have sensible explanations for job changes and career decisions. Ensure you are able to explain significant gaps in employment history. When asked questions, remember that this is an opportunity to sell yourself. Give sufficient detail when possible to showcase your actual skills and experience. Present your answers in such a way to demonstrate that your education, skills, experience and achievements match those required for the job role. Maintain a confident and friendly attitude. Do not be put off if you feel the interview is not going well. Some companies use this technique to test your reactions. Be positive about your skill set and motivation for seeking a new job. Never talk negatively about previous employers. Remember to ask any questions you have prepared prior to the interview. 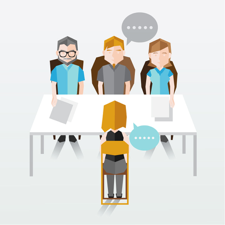 Do not ask about salary, holidays or benefits at the first interview stage. Make sure you explain what interests you about the job role. Thank the interviewer for their time and say that you look forward to hearing from them soon. Be sure to call your consultant after an interview to provide feedback and confirm your continued interest in the job. This is important, as your consultant can then contact the client company to share your enthusiasm and present you in a positive light. Your consultant will also obtain feedback from the client company and contact you to discuss this, alongside the next stage of the process where applicable. When a job offer is made, it will usually be communicated to you through your recruitment agency. At this point, your consultant will provide details of the offer and follow your instructions to accept or decline the position. Any questions can be raised and resolved at this point before a suitable start date is confirmed. In our competitive job climate, some unsuccessful interviews are to be expected: do not take it personally or let it affect your confidence. Instead, we suggest you reflect on your interview in a constructive manner and focus on ways to improve. It is important to remember that this setback is not necessarily a reflection on your performance. It is likely there were many candidates interviewing for the same role and that perhaps some had more relevant experience. Treat each interview as an opportunity to learn more about the process. We guarantee that your performance will improve with practice.